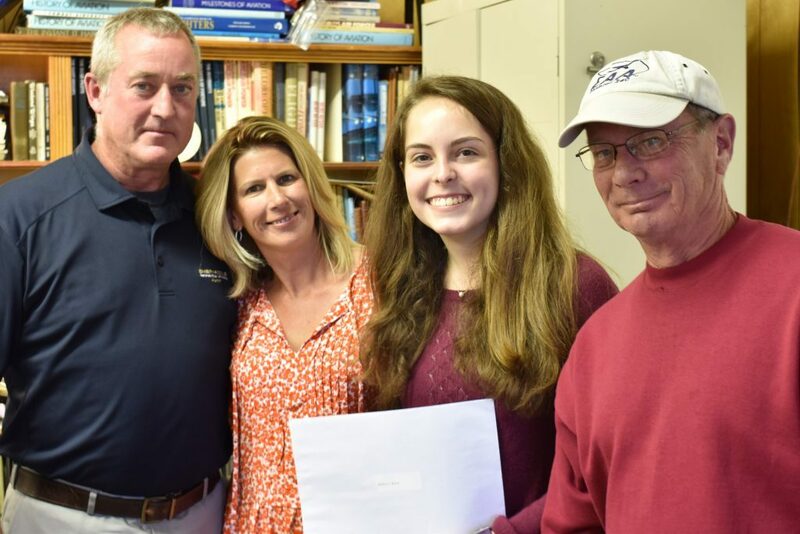 EAA Chapter 240 promotes General Aviation through a number of programs and initiatives, an example of which is the Fred Kacena Flight Training Scholarship which provides awardees with flying lessons valued at $2,000 per awardee. The annual scholarship program is offered by EAA240 in memory of the late Fred Kacena, a founding and active member of the chapter for over 40 years ago and a generous donor of a major financial gift to the chapter. The Chapter board and the general membership decided that the most appropriate use of Fred’s magnanimity would be a scholarship fund for youngsters, boys and girls, who can demonstrate an interested in learning to fly and are deserving of financial assistance to realize their dream. Each year EAA240 members donate funds to sustain the program, and through their generosity we are able to offer these unique opportunities for qualified youngsters. EAA240 is proud of the accomplishments of the program, with several of the Scholarship Awardee’s have gone onto further education in Aviation, with one becoming a CFI (Certified Flight Instructor) and others having gained professional roles as commercial and military pilots. The Scholarship works! Our process begins in April when we invite applicants who are between the ages of 16 and 23, and who meet the requirements of the award (listed on the application form (see below). Applicants must be US citizens and resident in the Tri-State area. Flight training will take place at the Flight Connection Flying School based at New Garden Flying Field, Pennsylvania. Please read the application form (attachment below) very carefully before applying. EAA240 actively supports youth in aviation, and offers best wishes to all applicants and pilot trainees.